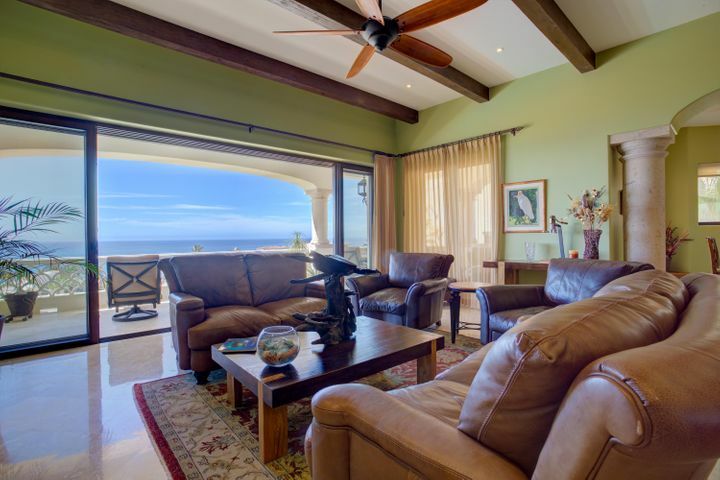 El Encanto is a private residential subdivision located east of San Jose del Cabo, Mexico. 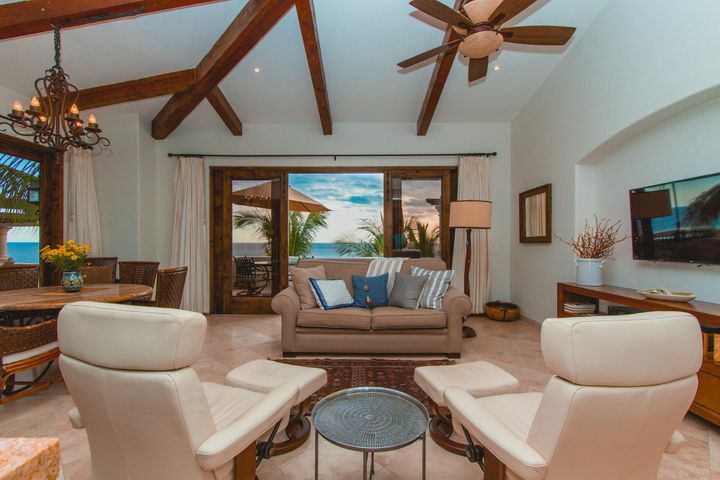 The beachfront community is a combination of single-family homes and villas as well as low-density condominium buildings. The condominiums offer easy access to white sand beaches, along with exclusive luxury amenities, 24-hour security, and a convenient location. 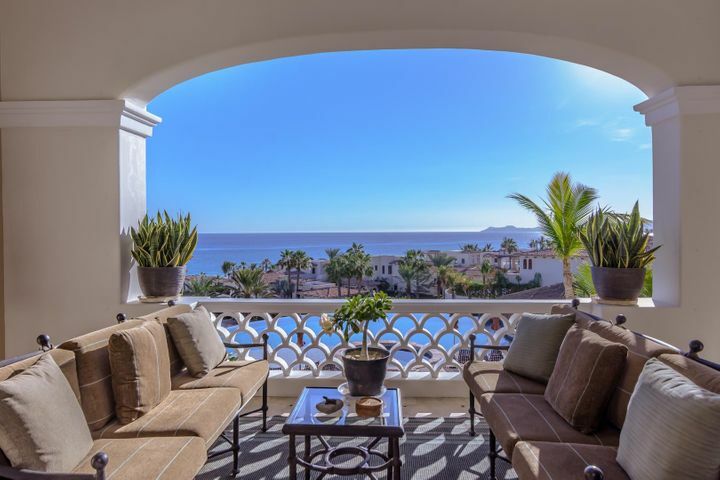 Residents can easily access the city of San Jose del Cabo as well as other significant areas of the region such as airports, hospitals, restaurants, shopping malls, and more. The residential property’s low-density condominiums feature several residences ranging from two to four bedroom units. The apartments come with modern appliances, open floor-designs, panoramic views of the ocean, and multiple bedrooms and baths. 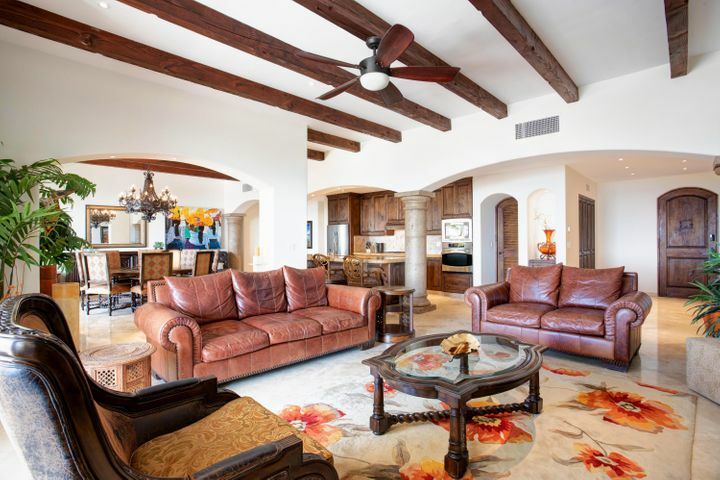 If you’re looking for properties other than apartments, check out our El Encanto Residences Listings. 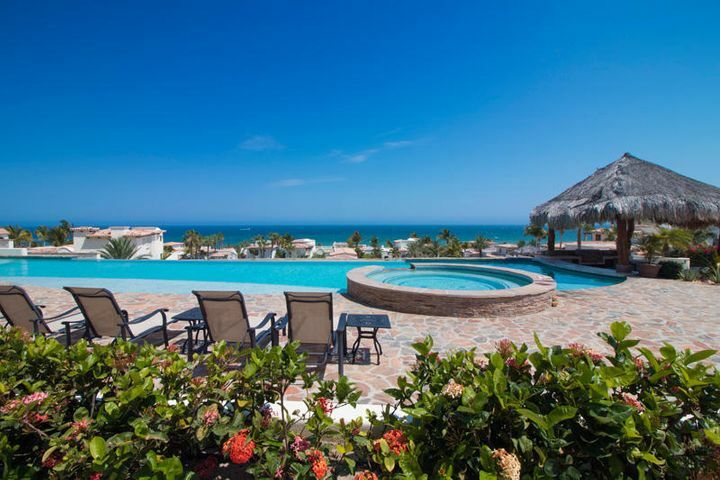 El Encanto de la Laguna offers resort-like amenities to residents and property owners. The gated community features 24-hour security and a concierge staff that provides a variety of services. 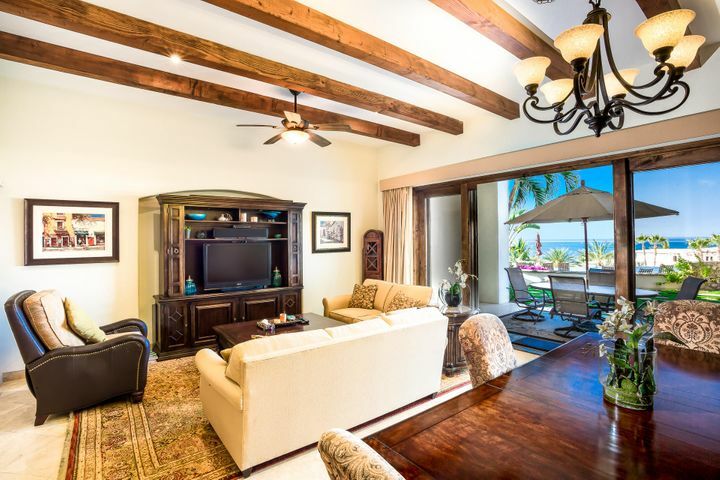 The condominiums have several common facilities including a gym, heated pool, swim-up bar, fountain, fire pit, picnic area, beach club, garden, and tennis court. 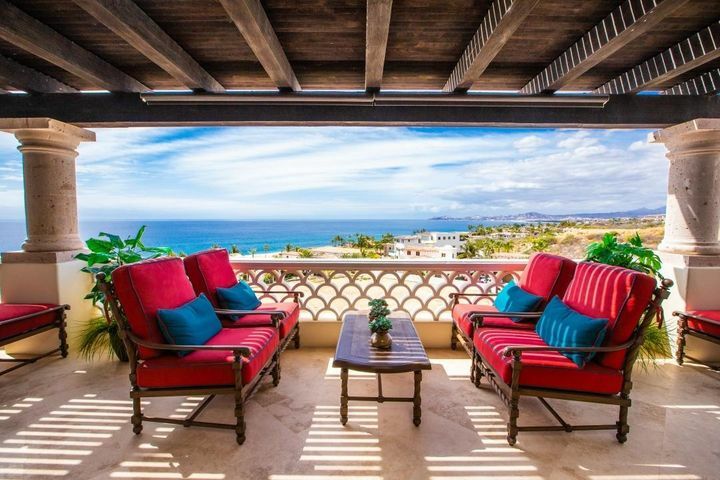 The development features fantastic ocean views and direct beach access. 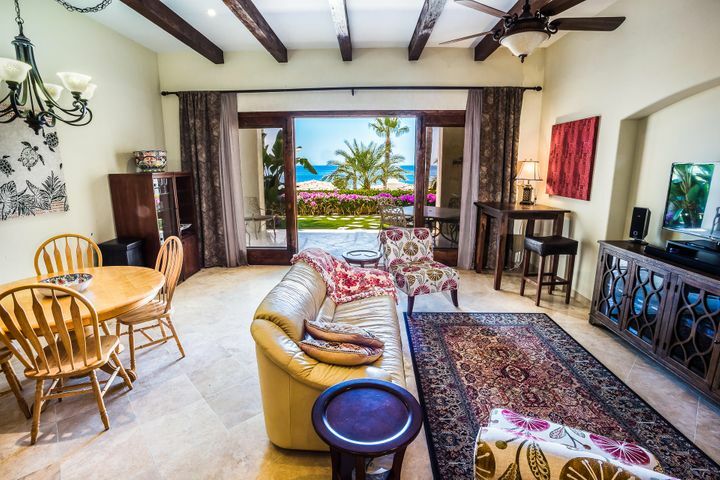 Enjoy a fun-filled day with the family and go swimming, snorkeling, fishing, and many other water activities in the world-famous Cabo beach line. 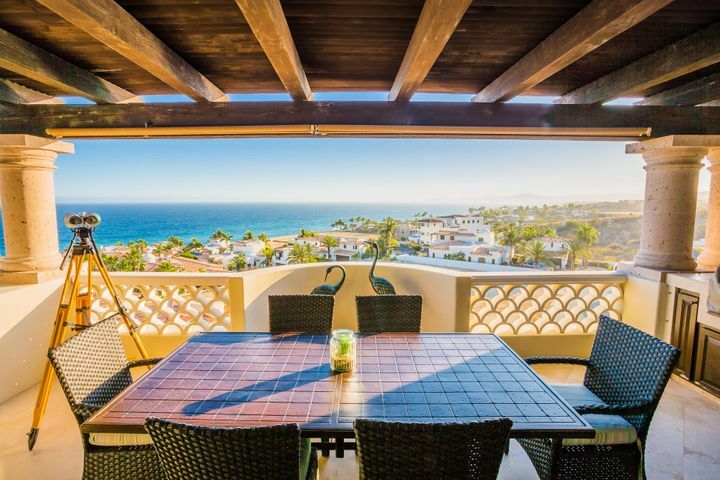 The neighborhood is a short distance from Puerto Los Cabos Golf Course, a premier golf club featuring a championship course, clubhouse, swimming pools, tennis courts, and more. There are also several restaurants and 5-star beach resorts surrounding the community. Restaurants that are a short distance away are Buzzards Bar & Grill and Café des Artistes Los Cabos. The El Encanto neighborhood is a short drive away from multiple schools that serve residents in the region. If you plan to move into the area long-term with your kids, you can enroll them in one of the many schools in the area. There are also several international schools available for foreign students.